You know me... I like to get festive, so yesterday I took the opportunity to wear this pretty embroidered tunic that my mama got for me in Mexico. After the fun last night, I'm ready to take it easy. Currently I'm cuddling on the couch with my pup, getting ready to watch a movie and looking forward to a productive Saturday. Hope you have wonderful weekend! That is a really cute top! Ole! 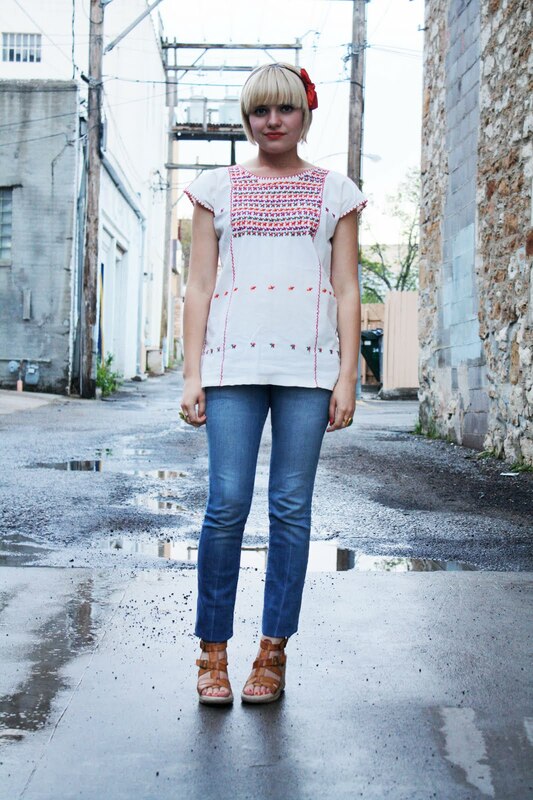 i love mexican embroidery (and pottery, but you cant really wear that)! As my time in Mexico comes to an end, I have been eying tunics like this one as a little going home gift to myself. I think you just convinced me. You look so lovely (not to mention festive) and I love, love, love your hair right now! wow tu es si belle! really cute outfit! 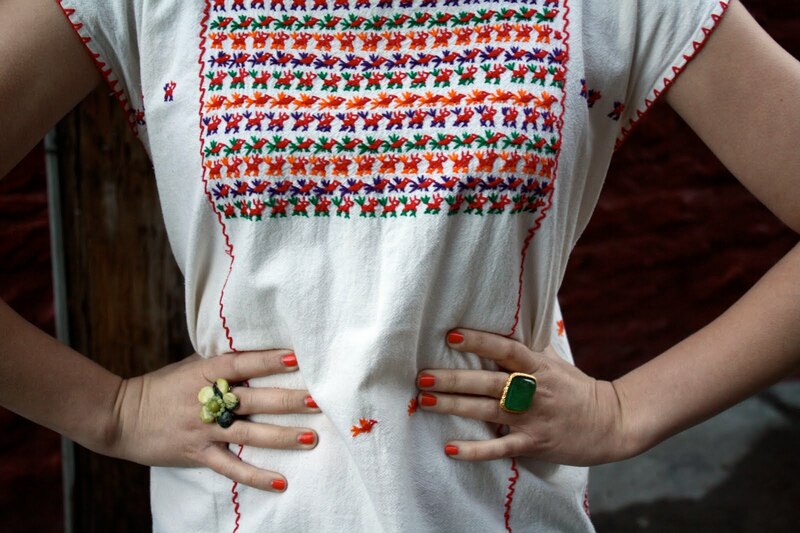 You made me realize that I should have worn my own vintage embroidered mexican top on CINCO DE MAYO! bummer. I guess there is always next year. cute outfit! your photos are so great!